Fill in your details below and we will let you know ASAP if we can get this game to you with haste! 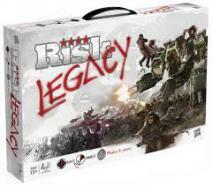 Looking for a specific board game not in stock? We can get it for you! Order here. 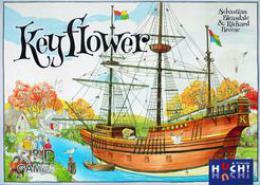 Keyflower is a game for two to six players played over four rounds. Each round represents a season: spring, summer, autumn, and finally winter. Each player starts the game with a "home" tile and an initial team of eight workers, each of which is colored red, yellow, or blue. What happens when seven cats run into cardboard boxes? Well, a crazy game of kitty hide-and-seek! Kitty Paw is a dexterity and reaction game. 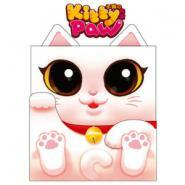 Players try to be the first to complete the kitty combinations shown on the Kitty cards to score victory points. Arcadia Quest is a campaign-based game for 2 to 4 players, where each player controls a guild of three unique heroes, facing off against the other players and the various monsters controlled by the game. Players need to accomplish a series of quests in order to win each scenario and choose where to go next in the campaign. Corporation Incorporated, the galactic leader in sewer system construction, is looking for can-do guys and gals to haul materials to remote regions of the galaxy. Must be willing to fend off meteors, smugglers, and pirates. Experience working with aliens a plus. Earn copious cosmic credits with bonuses for speedy delivery. 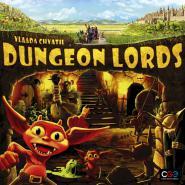 In Dungeon Lords, you are an evil dungeonlord who is trying to build the best dungeon out there. You hire monsters, build rooms, buy traps and defeat the do-gooders who wish to bring you down. If you want to get somewhere in Saint Petersburg, you need to start with workers. Their efforts bring in money, which you can use to construct buildings. But all of that means nothing if you canï¿½t influence the nobles that help manage and operate the government. 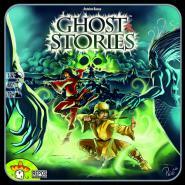 Ghost Stories is a cooperative game for one to four players. 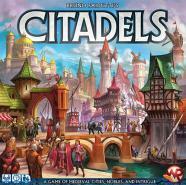 With modular playing tiles and a randomized deck of ghastly foes, no two games will be alike. The cards and tiles boast fantastic illustrations inspired by kung-fu legends, and a variety of excellent plastic playing pieces will draw you into the game. Gather your forces and battle the Lord of Nine Hells in the ultimate battle of good versus evil! 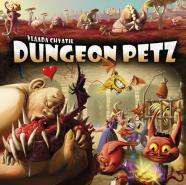 ï¿½What this town needs is a pet store.ï¿½ No one knows which imp said it, but every imp recognized the idea was pure genius: ï¿½A pet shop for dungeon lords? What a great idea! Yeah, and no one else is doing it! No competition! Weï¿½ll be rich!ï¿½ And now you have just opened the first pet shop in town. Right next door to the other first pet shop in town. Across the street from two more. You and the other players will shape how your world evolves: its history, its cities, even its factions and how they fight. Cards and stickers will come into play. Cards will go out of play forever. You dont forget past betrayals- and neither does the game. 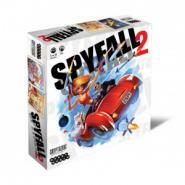 Unlock new rules and watch events unfold as you play more games. No two games will ever be the same. 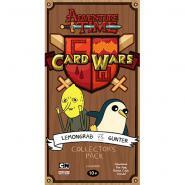 Adventure Time Card Wars: Princess Bubblegum vs. Lumpy Space Princess is another standalone two-player game that continues the Adventure Time Card Wars series. This time, Princess Bubblegum and her NiceLands deck take on Lumpy Space Princessâ€™s totally rad dual-Landscape deck in a royal rumble. The box contains everything two players need to have a head-to-head Card Wars battle. But the cards are also great for adding to your previous collection and customizing your own decks! New cards, strategies, and oversized Hero cards await! 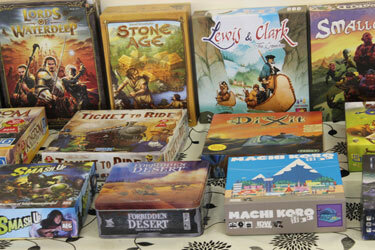 Each Card Wars starter set has a pair of different forty-card decks and is ready to play right out of the box. Mix the decks together to come up with your own righteous combos!